"It was Christmas for Bournemouth because we gave away presents at both ends of the pitch." Huddersfield boss David Wagner was left frustrated with his side's 2-1 defeat and says Bournemouth's first goal from their free-kick was wrongly given. 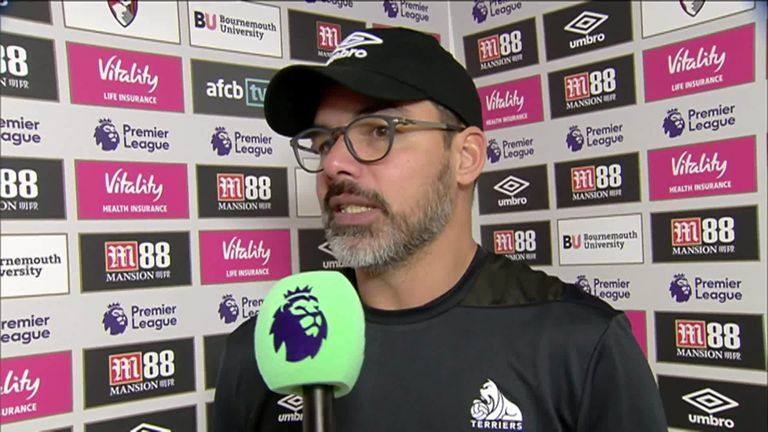 Huddersfield boss David Wagner was left frustrated after his side's 2-1 defeat at Bournemouth, saying they didn't deserve anything after "giving away presents" at both ends of the pitch. 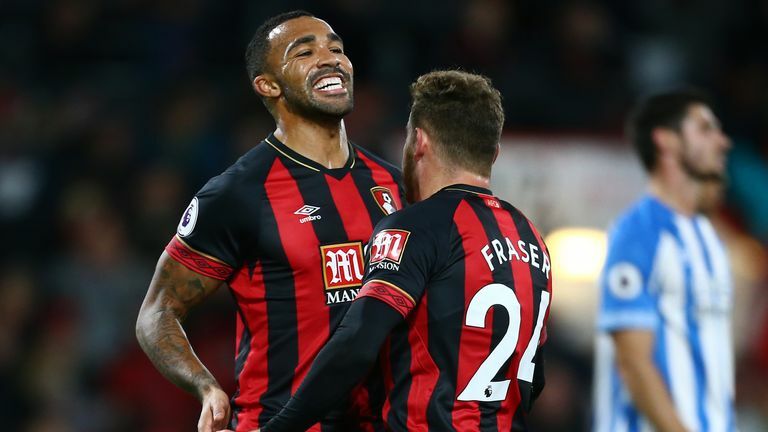 Bournemouth were the beneficiaries of some poor defending as Callum Wilson and Ryan Fraser sent the home side into a two-goal lead. Huddersfield showed some signs of a recovery as they managed to pull a goal back through Terence Kongolo just before half-time, but Wagner was bitterly disappointed with the chances his side missed. "This is very frustrating," he told Sky Sports. "It is very disappointing. To make it totally clear I don't think we deserved anything out of this game because you need your defence and offence to work. "It was Christmas for Bournemouth because we gave away presents at both ends of the pitch, even if performance-wise it was another top-class away performance. "We controlled big parts and we dominated them. We had enough opportunities to score at least two. We needed to score three or four today but we didn't take them and that is why we have no rewards in terms of points." Huddersfield tried to play the offside in the build-up to Wilson's opener but Matias Jorgenson did not get the memo, playing the England international onside as he powered home a free header. And while Wagner was disappointed with the defending, he also questioned the decision to award the free-kick which set up the goal. He said: "The first goal was a referee decision again where I ask 'why was this a foul?' It was anything but a foul from my point of view and we conceded after this free-kick. "It's frustrating and it doesn't help." Highlights from Bournemouth's win over Huddersfield in the Premier League. He added: "The most important thing is you have to know what you have to do better to look forward and get results. We have picked up some results in the past but today it is easy - we can only blame ourselves for the first goal and goals change games." Abdelhamid Sabiri lasted only a few minutes on the pitch as a second-half substitute after landing awkwardly on his shoulder following a foul from Lewis Cook. The 22-year-old was immediately replaced by Ramadan Sobhi and Wagner is fearing the worst with the injury. "Sabiri has a shoulder injury," he said. "It looks serious but we need to make more investigations."